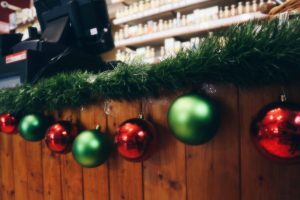 This week at The Honey Tree we’ve been feeling a little festive. 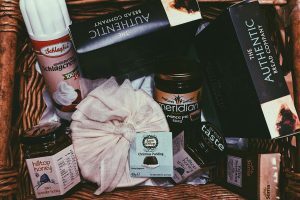 With the arrival of snow AND a basket of new winter warmers in store, how could we not?! As it’s nearly Christmas, legally, you have to have a mince pie (or 5). 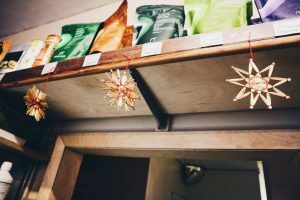 We’ve stocked up on some Luxury Mince Pies (tried and tested by some of our staff, with excellent reviews), as well as Meridian Mince Pie filling if you fancy making your own. Also, our Christmas Pudding comes all ready to go in a bowl, all you have to do is boil it with the cloth provided and it’s ready to go! You might have also noticed our shop has had a little festive transformation over night. 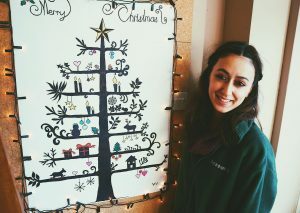 Our very own Esrah painted a beautiful Christmas Tree for our notice board and Cat’s been busy hanging little stars around the shop. Come in and have a peak!